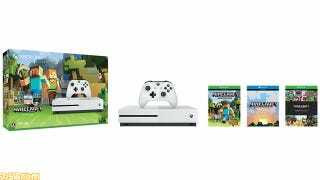 An Xbox One S Minecraft bundle is coming to Japan. An Xbox One S Minecraft bundle is coming to Japan. On July 12, the 500GB model will packaged in a special box. Minecraft has a strong following in Japan, so perhaps this will move a few consoles for Microsoft?